I haven’t posted photos from the garden lately, so I decided to upload a few that I photographed earlier this month. 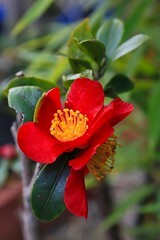 My Mom’s Camellias are in bloom now. I also noticed that the Pineapple Sage was blooming a lot, which really surprised me. 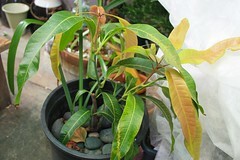 My Mango is doing pretty well considering that I lost most of it the previous winters. This year, I didn’t want that to happen so I placed it in our patio near the house wall and covered it with several layers of a floating row cover. I think it’ll do ok and can’t wait from the spring. This entry was posted in Uncategorized and tagged camellia, garden, mango, pineapple sage. Bookmark the permalink.